Looking For A Lawsuit? Don’t Disclose. Anyone who has bought or sold a house in the last ten years has seen the Disclosure forms that are attached to most real estate contracts today. Even states where it is not required to have these Real Estate Disclosure Addendums have them as a routine practice. Has the house had termites? Is the house in a blasting zone? Does the house have a chronic sewer line back-up problem? Each of those examples given, amongst literally hundreds and hundreds more, are items any potential Buyer would want to know. And laugh if you will on the last one. But I read about a case where the courts ruled the Sellers should have notified the Buyers that they thought the house was haunted. How Does This Pertain To Real Estate Investing? Investment property Sellers here in the Kansas City area are notorious for putting on their Disclosures “Owner Never Occupied” and little else. They just figure that will get them off any responsibility that comes down the line. Well neither I, nor the states of Kansas and Missouri, believe that to be true. 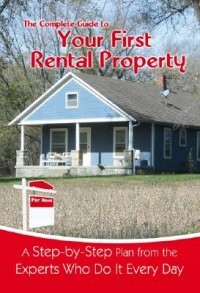 As a real property owner you still have knowledge of expenses incurred. You know that a basement is a problem or not. Your tenants have told you the sewers back up, or the roof leaks in heavy rains, or that there is a foul smell that comes from the attic in the hottest parts of the summer. Do You Feel Lucky? Well, Do You? Punk! Disclose what you know…or should have known. I would venture to say that most lawsuits stem from an initial failure to fully disclose known issues with a house. You ignore it and figure that by the time Mr. Home Buyer figures it out you’ll have your proceeds and be on down the road. But when the sewer starts backing up and the plumber comes out and says it looks like the main line is shot and that he had given an estimate on it about 6 months ago…or Joe the busy-body neighbor says “Oh, yeah. They always had plumbers over for that.” Well, you are going to have issues. Trust me. Problems leave a paper trail. You will be found out sooner or later. If there is a problem not only must you disclose, you should. It’s the right thing to do. Deal with it up front, without the attorney fees. It’ll save you a lot of money in the end. And if I know about it, or any other real estate agent for that matter, I must disclose whether you do or not. It’s the law. It’s my license. It’s the right thing to do. Good stuff, Chris — and advice best not ignored. Full disclosure is simple common sense applied to real estate. Your mention of the tenants and the ever present paper trail are spot on. I wonder how many investors you kept outa court with this post? Hopefully I’ve saved a few lawsuits. But sadly, there will be more. Chris, you have just described problems some of my clients are having. They buy their houses excited about their new dream homes which soon become nightmares. And, yes, in each case, all the neighbors knew about the problems and the contractors who were hired had a lot to say about the problems. Biggest thing is just to be honest, which is easy enough. Generally speaking, if someone makes a statement that helps persuade someone else to enter into a contract, that statement had better be true or given in good faith or there could be big problems. As an attorney, one of the first things I will ask for from a client involved in a real estate dispute is the disclosure form and any other written statements regarding the property. Regardless of much weight, legally speaking, can be given to these disclosure forms, they are still evidence of possible fraud or misrepresentation that are hard to run away from. Erik – funny thing is I have NEVER had a client run the other way from some pretty whacky things on Disclosure forms. Now they will want further clarification. They will want concessions if it’s a huge issue. But I just have to believe this cheaper up front than later on down the line. Too bad more people don’t follow this advice. I inspected a house not too long ago with a recently finished basement. The disclosure didn’t indicate any problems, and it was dry outside when I inspected the house. But the buyer called me after moving in and asked why I didn’t report that the basement was subject to flooding. Inspections should never be confused with or used in place of a thorough disclosure. We’re only there for a few hours and cannot possibly be expected to know all the things that a seller knows about a house. Point made. People do expect too much from an inspector. Obviously, if you cannot see the wall or cement floor of the basement you have no idea what it looks like behind or underneath. I am a 27 year old looking to buy my first home and all I can say is, Buyer beware. I just backed out of a deal yesterday. The disclosure form said that the home was previously treated for termites, but that there was no known damage. When the listing agent was asked about this, he said that there was no termite problem or damage and it was done as a preventitive measure and a selling point for the seller. My realtor asked him twice more and he gave the same answer. When the termite inspection was done, damage was found and when I requested that the seller forward me the paperwork from the company that treated the house, they conveniently couldn’t find it. I also requested that they have a contractor pull off the baseboards and check the studs for damage. The seller refused to pay and said that I could do it at my expense. I had a contractor friend and my father go in to do so, but before we even had a chance to check anything the owner showed up. When she was asked why the home was treated, she easily replied “because I had termites.” More damage was found and I immediately pulled out of the deal. The listing agent accused my realtor of some bogus charges and she was able to obtain the records from the termite company (after the seller told us the name of the company.) Turns out the house was completely infested, the seller was aware of damage and the house was treated 3 different times. What would you suggest I do to assure that the listing agent won’t try to dupe someone else. It’s my opinion that he should loose his real estate license. Melissa, finding a home that’s never had termites can be challenging. But finding one that wasn’t “infested” shouldn’t be so hard. Ronald Reagan always said “Trust but verify”. Get a reliable and good termite guy and use them every purchase you make. It’s $50 well spent. Probably the best inspection you can run. As far as that agent, many do not have a clue as to what they are doing and wouldn’t recognize a termite tube if you were pointing at it. So it could just be ignorance. But is that any better? Thanks for the response. The listing agent did know about the damage and infestation. The termite company said he called them posing as the homes owner and requested the information that I was able to obtain from them clearly showing that the whole house was infested. He just never gave me the information when I asked for it. Now that it’s out in the open, don’t they have to disclose this information to the next potential buyer. I just don’t want to see anyone else buy a home that may cave in on them. Yes. They “have” to disclose. But they should have disclosed to you, too. This is why there is the inspections period in your contract. It’s your job to look after you. Sadly, we cannot depend on the honesty and integrity of everyone out there. I am SO in that boat now. Moved here from California. We found a house that we knew needed some cosmetic work, but we hired an inspector to make sure that there were no electrical, plumbing, or structural issues that were obvious. Never bought a home and don’t know the first thing to look for. We were also out of state until after the transaction was complete and trusted the licensed professionals to let us know if there were problems. We even asked “should this be a deal breaker” on things that did come up. The inspector said he looked at the attic and found nothing….we move in and find out that the home was flipped by a company. They used unlicensed contractors to gut and rebuild the house from the inside and now the place is falling apart. Plumbing leaks everywhere, serious electrical code violations . Some of these were in plain site in the attic. The inspector would have to have been blind not to see the spliced wires laying around in the attic. They intentionally covered up things that they were legally required to fix or disclose. Now we are in the house and probably on the hook for tens of thousands of dollars worth of repairs. We won’t ever see anything from this. We can’t even get an attorney that wants to help out for fear that they won’t win and we won’t pay the fees or something. Consumer protection act my foot! Inspectors will not move anything. It’s part of their contract. But if it’s “just lying there” he should have seen it. Secondly, be very careful in the future on whom you hire both as an agent and inspector. Check references. Ask questions. It never bothers me when someone wants to check with past clients. seller didnt disclose to me or on the disclosures he was in a pending lawsuit that started in Aug 2007, with the neighbor regarding the private road easement and the driveway of the home I bought in nov 2007. Now the neighbor is sueing me because I am the current homeowner. And on the day I came to move into my new house the neighbor had poured truck loads of gravel in my front yard. I asked the seller before I bought the house if there was something up with the neighbor because he had keep out signs in his yard. The seller said he was ok, he just stayed out of his way. But he didnt bother to tell me that they had restraining orders against each other too. Or that he was in a lawsuit with him. Can he get away with this. I go to court in two days for being added to their lawsuit. I live in Missouri. I’m no lawyer but it sounds like you have smoking guns (restraining orders, prior litigation) that will swing favor to you. Now a year and a half later….. I am now being harassed from the neighbors who attached me to the pending lawsuit, after the purchase of my home. Which I have had to file about 8 police reports and now a restraining order for me and my son. From neighbor threatening to beat up my 15 yr old son, taking pictures of anyone who parks at my house, dead deer head in my yard, video camera on his fence facing my bedroom window about 30 ft away with a bill board of two eyes painted on top of his fence as if to imply he is watching me, our cat went missing after he said if it comes in his yard it is a dead cat, toilet paper with pee on it put in my mailbox, coming on my driveway and drop slamming his trash carton on my driveway and demanding I give him mine, because his has a hole in the bottom of it and he thinks it is not his. Not to mention he has harassed me through the city for anything from clearing tree limbs on my wooded area of my property to having the grass area brush hogged when it had never been before I bought the home according to the City of Springfield. Also this NEIGHBOR is in the process of suing UPS for driving on our road, so they will not deliver here anymore on our road. And he has tried to sue Utilities Company also for driving on our road. A handful of Springfield neighbors say even though they pay city taxes, one man makes sure City Utilities and rescue crews can’t reach them. One city official is worried about the situation on a private road in the 2800 block of east Grand. The private road is the only way five homeowners can get in and out of the homes they own. For 10 years, neighbors say most who move there are harrassed by the man who claims to own the road. Julie Wright moved into her home on east Grand in 2007. She immediately had a unique parking problem. “He doesn’t want me to park in my own driveway,” Wright says. Her neighbor, Roger Gaston, is suing her and the home’s previous owner. “He thinks the easement starts here,” Wright says as she points to the end of her paved driveway. She says she’s parking on her property. In Gaston filed a lawsuit against Wright. In the suit he says he bought the private road for one dollar. Gaston is asking for a judge to rule no one can park in the drive way or improve the road because it disrupts his ability to enjoy his road and easement. “I feel like I have no rights in this community,” Wright says. Wright has documented the situation and spent thousands on legal fees. She says she wishes her title company would have told her about the suit before she moved in. She worries she can’t sell. “I wouldn’t want to do what was done to me. It’s not right,” Wright says. Wright’s lawsuit is just the tip of the paperwork iceberg. Since 2002, neighbors have called police there 23 times. “Our hands are often tied because it’s something done to irritate someone and not necessarily a crime,” Springfield Police Department Major Kevin Routh says. “Usually there are no witnesses; no one can prove who committed the crime.” It is a back and forth neighbors worry is a powder keg. “The harrassment and intimidation is beyond belief,” Neighbor Jeff Weister says. He moved in about four months ago and already wants to sell. City councilwoman Cindy Rushefsky says she understands the neighbors’ concerns. She is meeting with other city leaders to see what–if anything–can legally be done. Rushefsky says all but one neighbor want the private road to have public access. “It’s troubling something needs to be done, but the question is what,” Rushefsky says. Neighbors say a decade is long enough. They say they want their private road and private nightmare public. Gaston is on probation for disturbing the peace and tampering with the previous owner of Wright’s home. In that case, he was placed on one year probation per a written agreement. KSPR checked the court document to find the terms of the agreement, but it was not in the file. KSPR called the judge in the case. We are waiting to find out where the document may be to see if any of the 23 police calls violate the terms of the probation. According to online court records since 1996, seven people have filed protection orders against Gaston, including Wright. All but three of the protection orders were dismissed by the parties. Wright says once she filed her protection order Gaston’s wife filed one against her. She questions if the threat of a counter protection order caused others to dismiss. Both protection order hearings are set for December. The civil lawsuit involving the driveway and easement is still pending. Wright says two years into the litigation she is waiting to do a deposition with Gaston’s attorney. City officials are looking over documents surrounding the issue. Check back to KSPR news for updates on city official’s meetings. My husband and I just bought a house and found an open sump pump hole in the laundry room the day we moved in. We had a final walk through but the Sellers still had their washer and dryer in the laundry room and they were covering up the hole. This issue was not disclosed by the Sellers ahead of time or at all. We had to bring it to their attention and they say it is now our problem. Now we are facing having to repair the open hole in a short amount of time before we move our washer and dryer into the laundry room this weekend. We have a deadline of this weekend to be out of the duplex we rented. I feel the Sellers should have had to disclose this problem. Do you have any suggestions? See, here’s the thing. There is really very little you can do. Your attorney will cost you more than just filling the hole. But is that a good idea? You may need a sump hole somewhere else. You should ask a contractor for his opinion. For those buying a home and getting an inspector, please please hire your own inspector. First, hiring an inspector from an agent list without doing your own homework is a huge no-no. I am not going to point fingers and tell you that agents are bad; they are not..However, I get agents calling me, on behalf of their client, setting up a home inspection. Never once does the buyer ask a question, question my references, my experience, my training or my abilities or what I will or will not inspect. And call more than one or two inspectors, call until you find the one you think will work for you and is fully qualified. You are making one of the biggest purchases in your life, take 10 minutes out of your life to do your homework, question the inspector, and find out what service your actually getting. Hire your own inspector, hire the best, and hire one that carries certifications beyond state minimums. Or don’t, it’s only money. Thanks for your input. Checking out inspectors is like checking out anything. Do your homework.